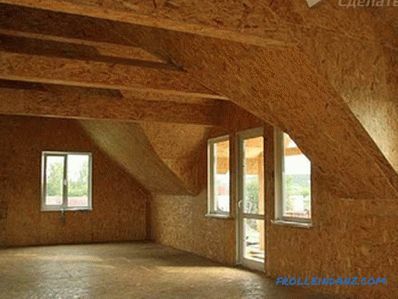 How to make an OSB house with your own hands, without losing in quality and saving money? After all, with the same area, the cost of construction depending on the materials used can vary greatly. And with some building technologies can not do without the rental of powerful equipment. 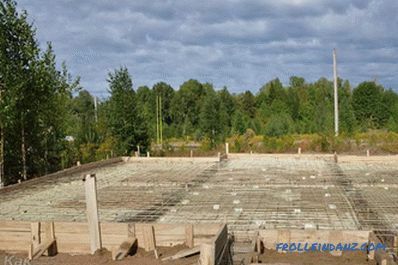 The most affordable, quick and easy way is considered to be frame construction of sandwich panels or OSB plates. OSB or oriented-chipboard plates consist of 90% wood chips. The remaining components are water resistant resin binders. Construction panels are obtained by pressing large fragments of coniferous wood, aspen and larch. Chip size - up to 15 cm. Inside the future product, it fits into three rows. The outer layers are placed parallel to the long side of the slab. The middle layer is perpendicular. The pressure in the press is so strong that the mutual penetration of the fibers. This guarantees high strength to the final product. 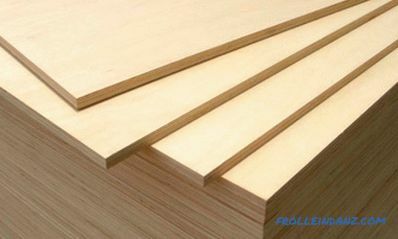 The resulting material is sometimes called improved wood. It is light and easy to handle. Unlike the natural solid wood, OSB do not burn or rot, there are no knots or voids in their structure that reduce its stability. 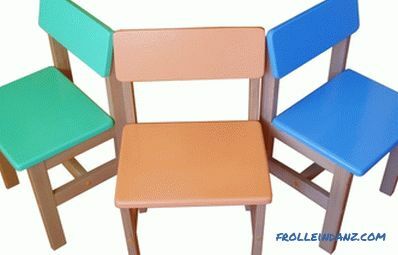 According to its characteristics, it surpasses sheets of chipboard, MDF or plywood. These panels hold fasteners well: bolts, nails, dowels. Most of the questions from consumers were caused by the use of phenol in the composition of binding mixtures. But now many manufacturers have begun to switch to polymer resins that are completely safe for health. Such a product is labeled "ECO" or "Green" on the packaging. In a private House-building use 4 types of OSB panels, differing in water resistance, durability and price. Moisture resistance depends on the bonding adhesive, and strength depends on the mutual placement of the chips in its structure. Lamination and varnishing of the surface gives additional resistance to all types of effects. 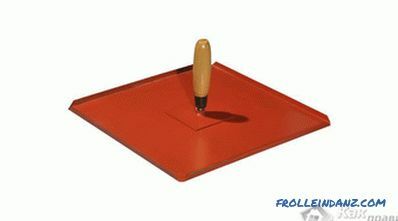 Such plates can be used in the construction of formwork, and many times. Type 4. 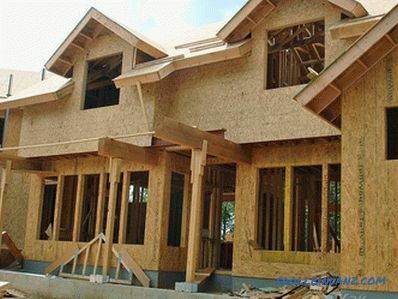 OSB-4 is very durable, used to assemble bearing elements of walls and roofs, attach structural stiffness. A house made of OSB slabs is made mostly of products of the 3rd type. Height - up to 3 floors inclusive. Work takes 2-3 weeks without the involvement of heavy machines. The building is not even built, but is assembled as a designer from prefabricated, factory-made parts. 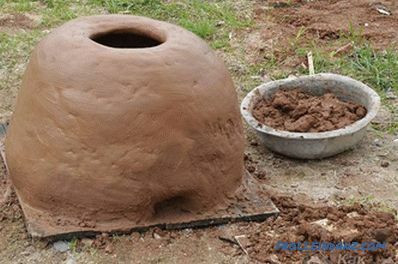 They are made to order, for a specific project. This means that there will be no unforeseen expenses and urgent additional purchases of missing building materials, as well as unrealizable residues after the completion of all stages. OSB slabs are significantly cheaper than bricks or foam blocks. The frame construction weighs a little, almost 5 times smaller than a brick house of the same cubic capacity. Therefore, the structure does not require a massive and expensive foundation. 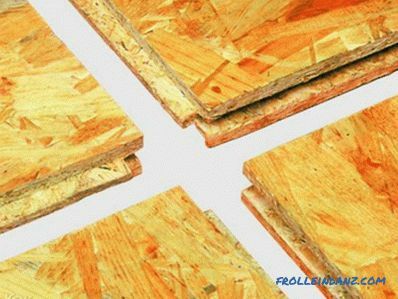 In the box of OSB-3, already during production, layers of thermal insulation can be laid. This is how SIP panels are made. Then additional warming is not necessary. Inside, a comfortable temperature is maintained with external drops from -40 to + 40 ° C.
The smooth surfaces of the panels do not need to be primed and leveled before finishing the decorative coating on the walls or ceiling. Is that required filler joints. With the observance of technology at home from the RSD do not shrink and skew. 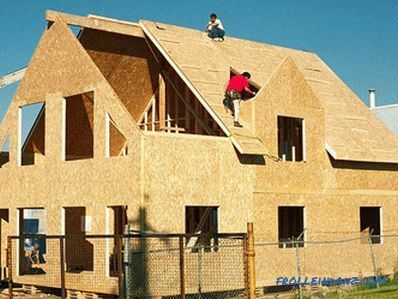 OSB boards - the material is universal and can be used at any stage of construction. Foundation. Laminated or veneered sheets can be used as front shields of the foundation, assembled on a frame of bars. They are fastened with steel wire or thin reinforcement ties. Paul. The plates are stacked on the logs with the long side perpendicular to them. A technological (dilated) gap of 3 mm is left around the perimeter of the panels. It is needed to compensate for thermal expansion or other deformations. Between the walls and the floor also retain a gap of 12 mm. The sheets themselves are fixed with the help of the profile "crest-groove" and are secured with mounting glue for reliability. Walls. Oriented strand products can be mounted both vertically and horizontally. When assembling walls, sheets 12 mm thick are used. They are based on parallel bars with 400 and 600 mm pitch. Between the plates, as well as in places of junction with the door and window openings, gaps of 3 mm are left. For insulation from the outside, the building can be insulated with mineral wool. Roofs. Sheets form a continuous crate on which the roof covering subsequently creeps. Installation begins along the ridge, the wood panels are laid similarly to the floor. Each sheet is attached so that under it were two supports. The joints of the plates should also fall on the truss logs. 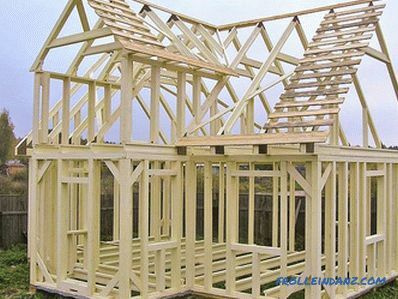 When working at any stage, take into account the main rule of building a house from RSD: the joints of the support beam and panels must be sealed. Joints and corner parts are fastened with self-tapping screws with a step of 15 cm. Due to the properties of sheets of oriented chips, the structure does not rot and is not eroded by insects. Fires are not frightening to him either. 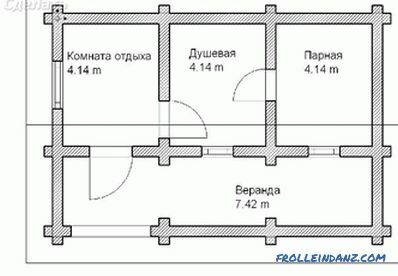 According to the calculations of experts, the service life of the house of the panels OSB-3 is the same as that of brick. how to make a wooden staircase on second floor. We offer to watch a video about building a house from OSB panels.